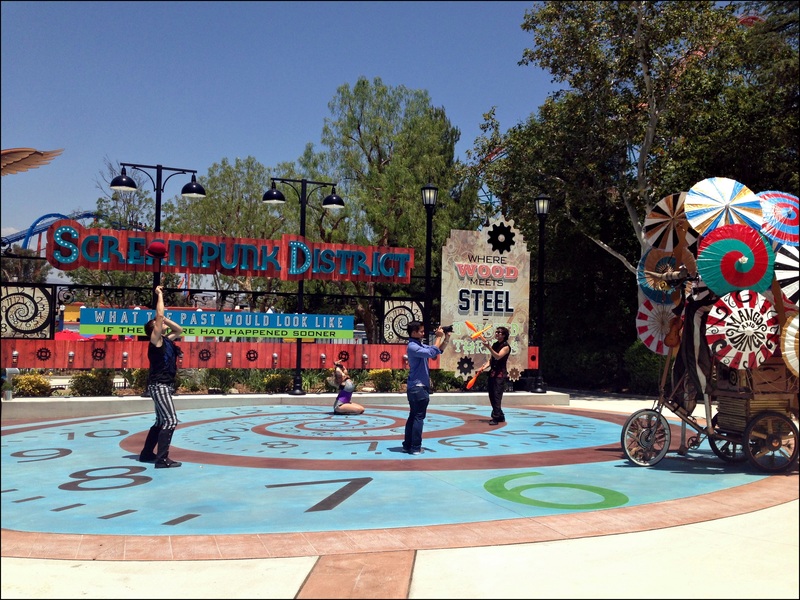 SoCal Attractions 360 – Now Open! 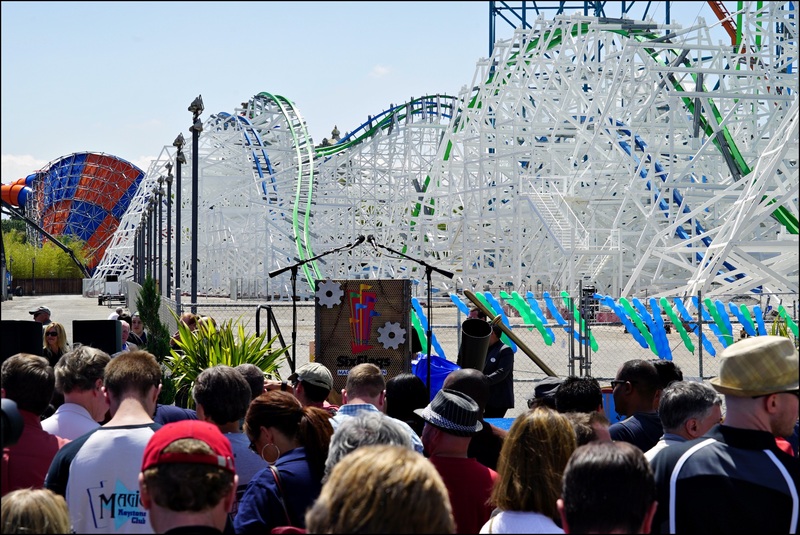 Twisted Colossus – One of the Smoothest Roller Coasters Ever! 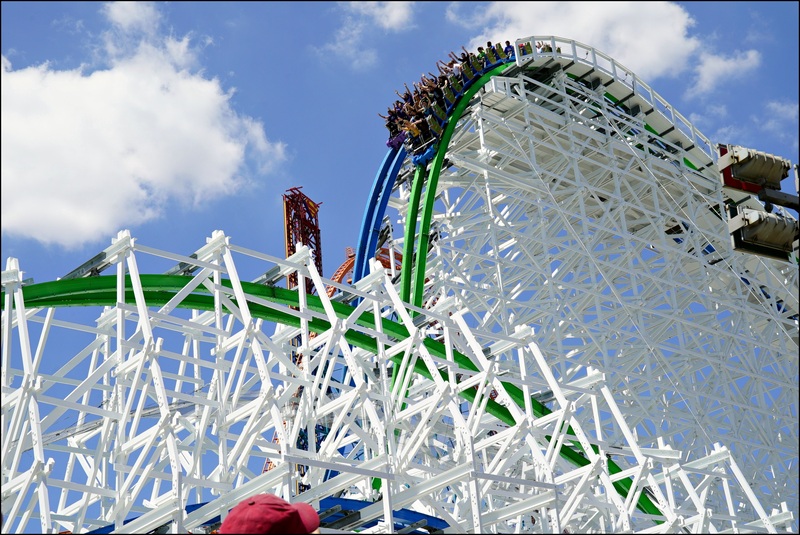 So we got the chance of riding Twisted Colossus multiple times this past week. 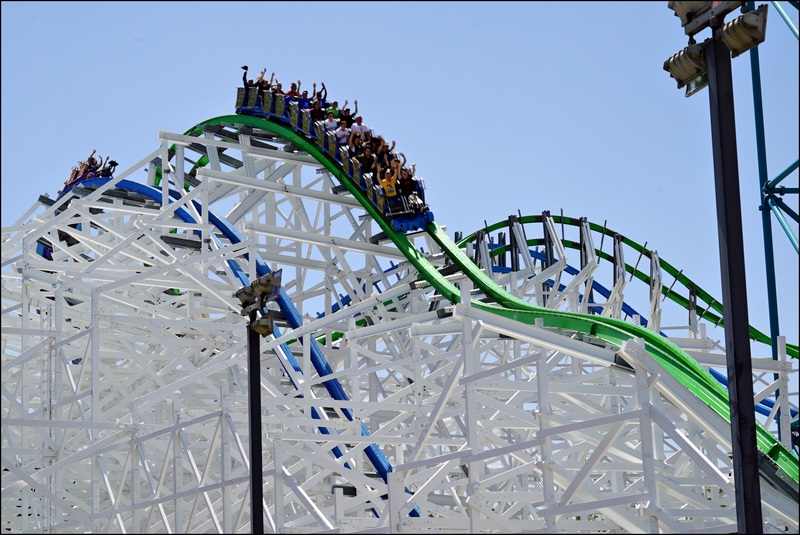 All we have to say is that this is one of the smoothest roller coasters we have ever been on at Six Flags Magic Mountain. 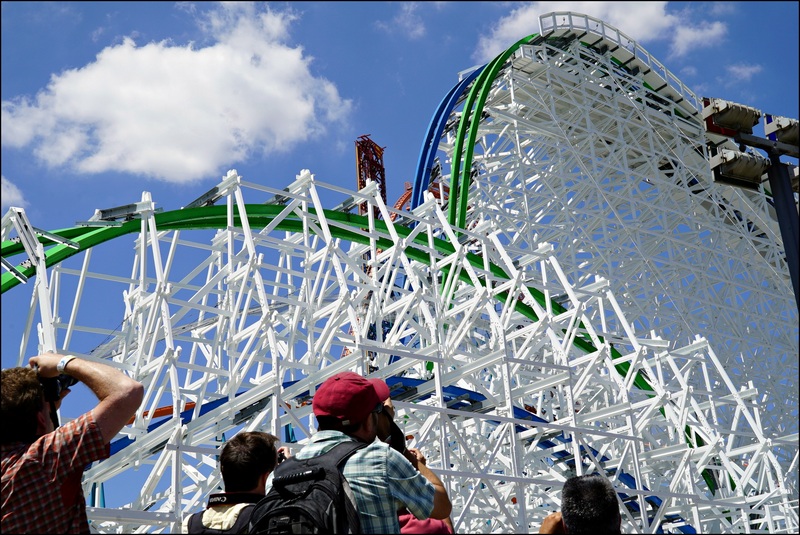 Twisted Colossus looks so refreshing and full of vibrant colors. 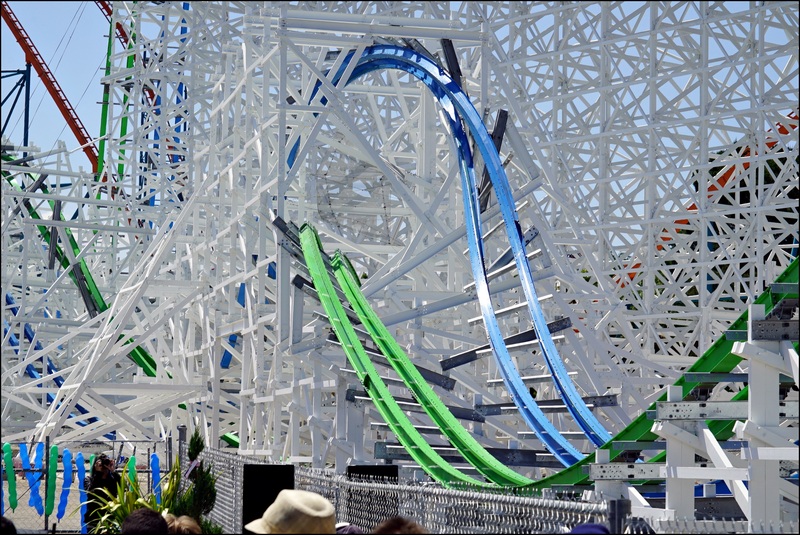 It’s seriously one of the best looking coasters at the park. 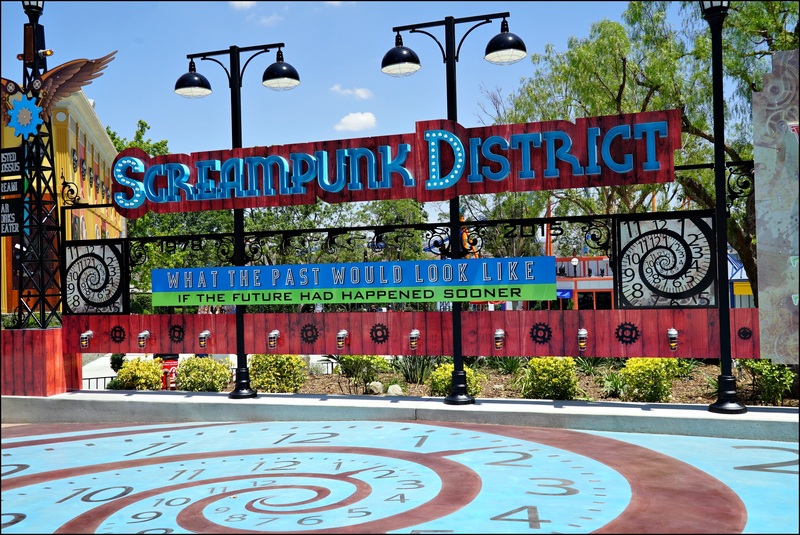 The New Screampunk District is gorgeous! 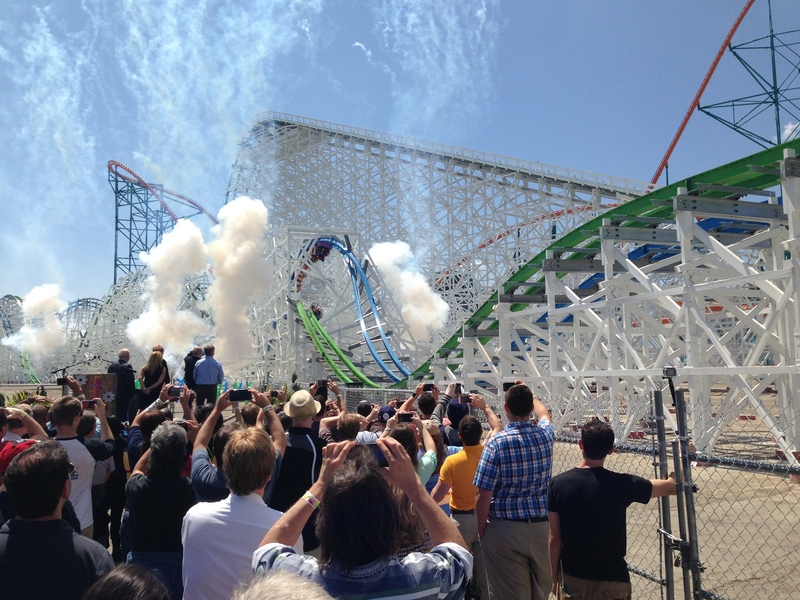 And just like that, Twisted Colossus is officially open! 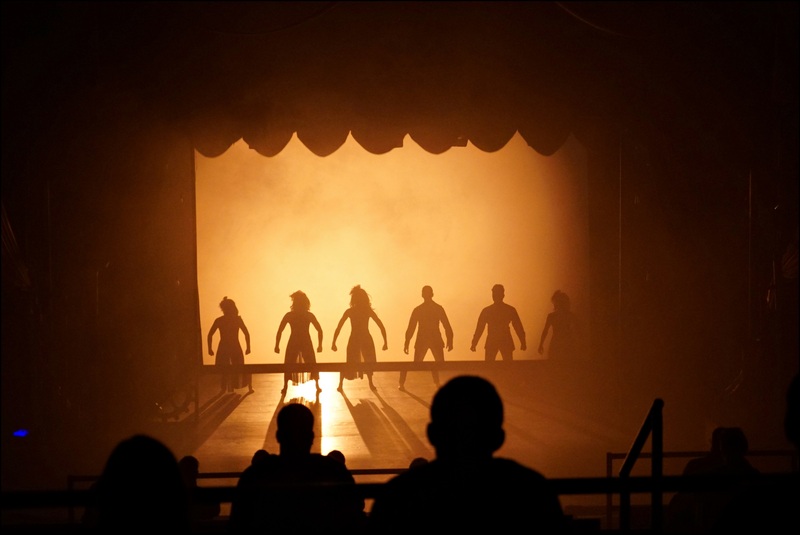 Be sure to check out the an all new acrobatics Kwerk show. 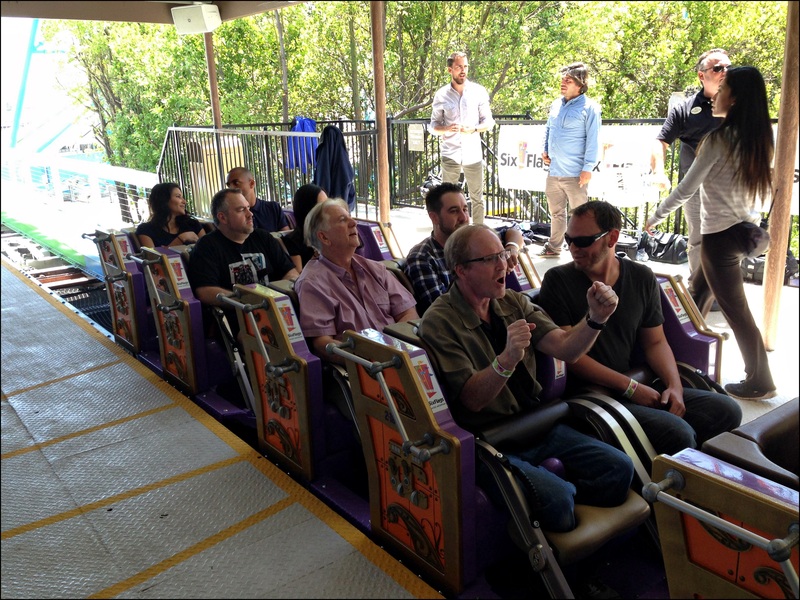 We were treated to a preview and it sure didn’t disappoint. 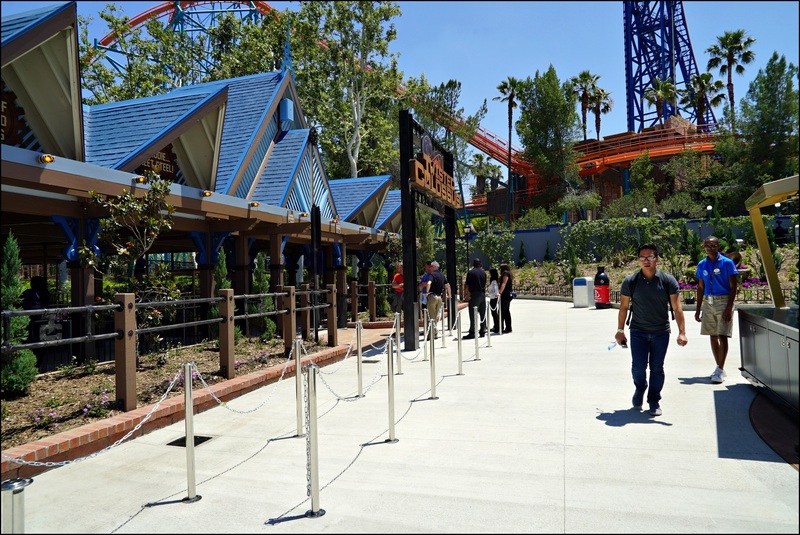 Note to riders – There is no recording allowed on any ride at all Six Flags parks. 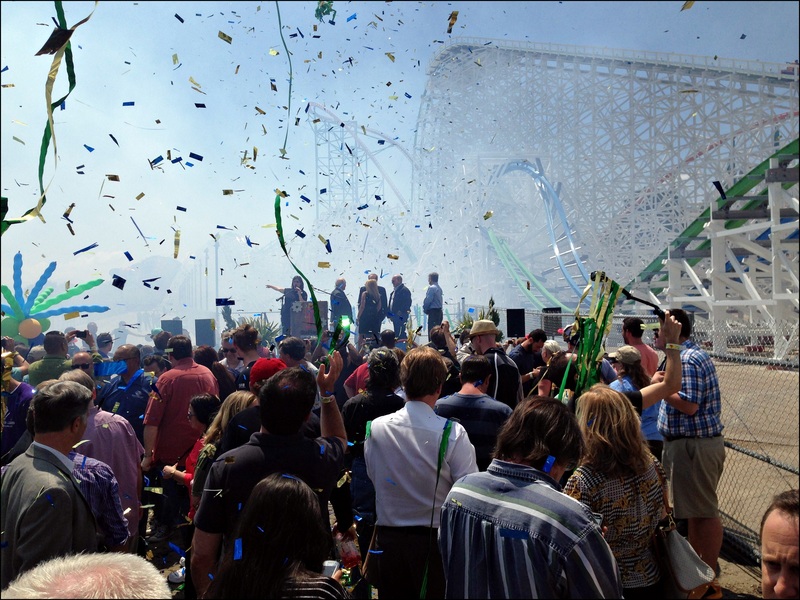 This was shot during Media day and recorded by a professional using secured camera. Recording on ride is prohibited! If the phone/GoPro had fall out, it can and will cause serious injury to other riders. 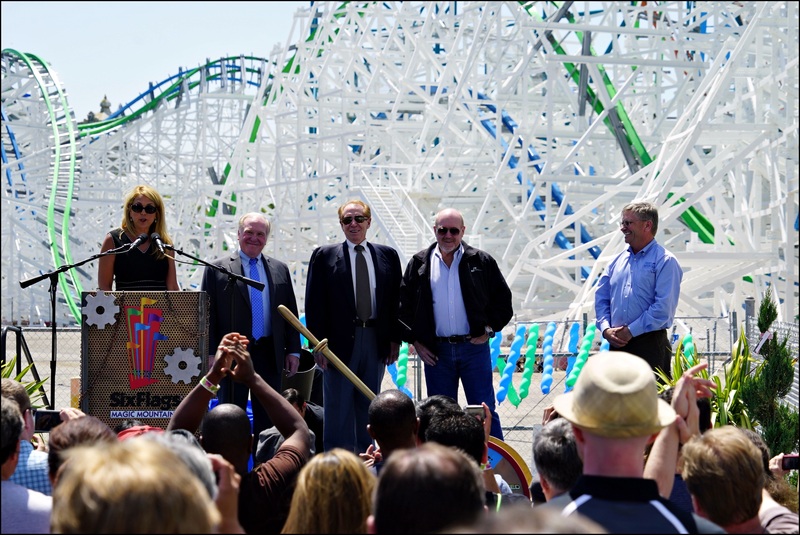 Twisted Colossus will be the focal point of the newly themed area where you can expect the unexpected through whimsical experiences in entertainment, food and retail. 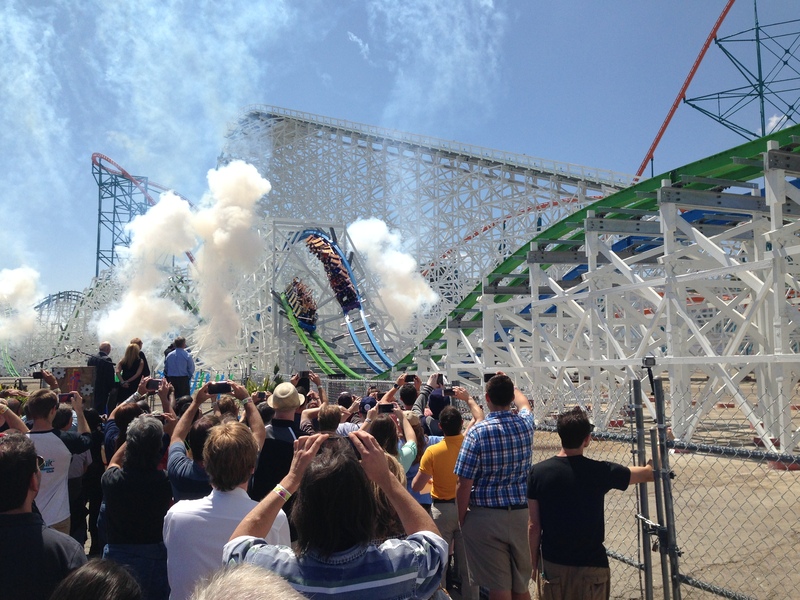 The original Colossus wooden coaster opened on June 29, 1978 and offered its farewell run on August 17, 2014. 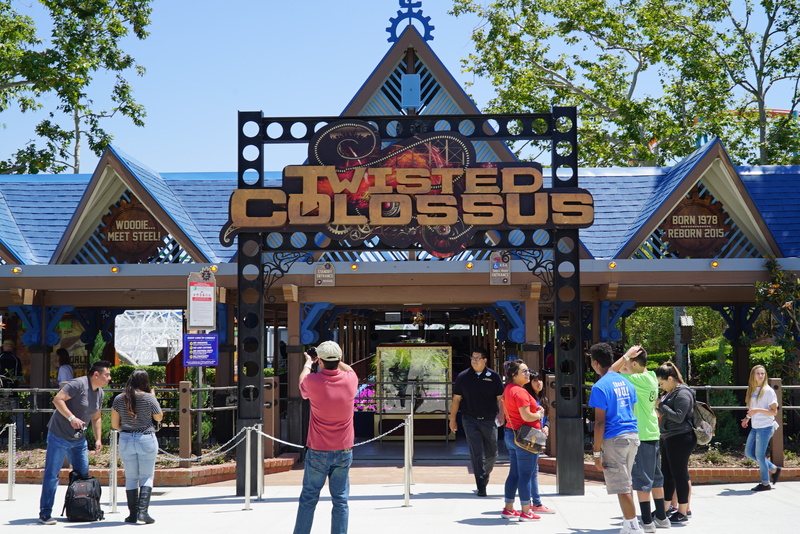 Location: Twisted Colossus will be the focal point of the newly themed area where guests can expect the unexpected through whimsical experiences in entertainment, food and retail.